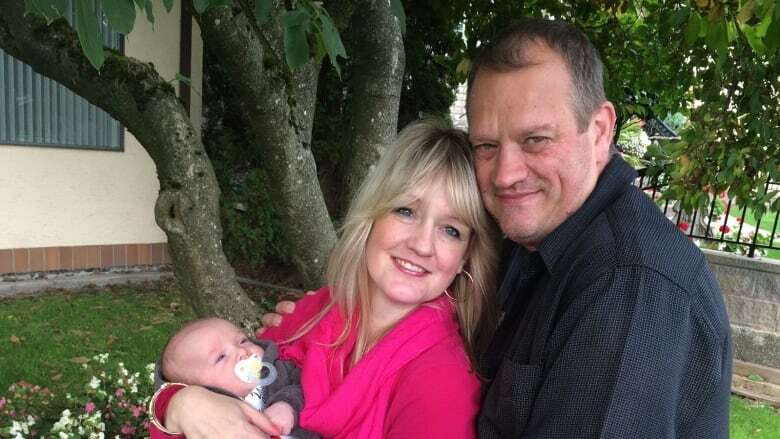 The only thing Heather Harmse wants for Christmas is for her widowed mother to come to North Vancouver, B.C., to meet her first-born grandchild, but visa bureaucracy is keeping the woman in South Africa. 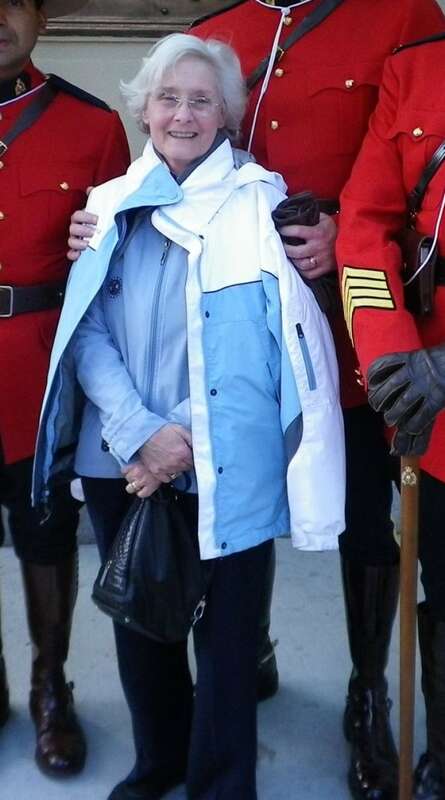 In August, the family applied to Immigration, Refugees and Citizenship Canada (IRCC) for a parent and grandparent super visa for 72-year-old Jennifer Wilson. "It's intended to, very genuinely, reunite families," said Harmse on the telephone, while holding her four-month-old son Carl. "Grandparents can stay in the country for a significant amount of time without having to go back and forth and renew visas." The super visa is a 10-year multiple-entry visa that enables holders to remain in Canada for uninterrupted two-year periods. The parent and grandparent super visa application requires police clearances from other countries where an applicant may have lived since he or she was 18 years old. "Mom being 72-years-old, she was fortunate to live in a couple of countries besides South Africa and that includes the U.S.," said Harmse. The U.S. regulations to obtain police clearance for Canadian migration requires applicants to submit their fingerprints — and that's where Wilson's application hit a snag. "Mom has a bit of a unique situation in that her fingerprints have always been faint, but, with the passing of age, they have become even more-so," said Harmes of her mother's situation. "We submitted the first lot of fingerprints and they were rejected because they were too weak for the U.S. to continue with that process." A second set of Wilson's fingerprints has been sent to American authorities. "My fear is that she'll continue to get rejected, quite possibly from the U.S., in terms of the quality of prints and each time this takes three months just to process," said Harmes. "It's a bit of a black box situation. You don't know what's actually happening." Wilson has come to Canada before in 2011 and 2013 on visitor visas but didn't opt for one this time, because visitor visas are valid for only three years and allow holders to stay in Canada no longer than six months at a time. But given the delay in processing the super visa application, Harmes would like her mother to be able to simultaneously apply for a less stringent visitor visa. However, Canadian authorities say that's not possible. "They say we're down this path of getting a grandparent visa, and so from their perspective, they're not willing to entertain any other type of visa application from our side, until such time as they've got the satisfactory police clearances," said Harmes. "From our perspective we're stuck, because it's not a lack of will from our side for providing them with that information but given the quality of mom's prints, we're at the mercy of the U.S."
The bureaucratic quandary has garnered the attention of North Vancouver Liberal MP Jonathan Wilkinson. A representative for the member of Parliament told CBC, the North Vancouver constituency office can't interfere with the application but it can advocate for Harmes. Earlier in the year, Wilson was making plans with her husband Raymond to visit B.C. in late summer or early fall for the birth of their first grandchild. In May, on Father's Day, Raymond Wilson suddenly passed away. "When dad died I was expecting Carl at the time and I was seven-and-a-half months pregnant, so from a travel perspective, it wasn't safe for me to go that distance to attend the funeral," said Harmes. "I haven't actually seen mom since dad died, and she hasn't yet met her only grandchild." Baby Carl is now almost four months old. "Given the sudden passing of my dad, you're just that much more aware of the fragility of life and just how special time together is," said Harmse.